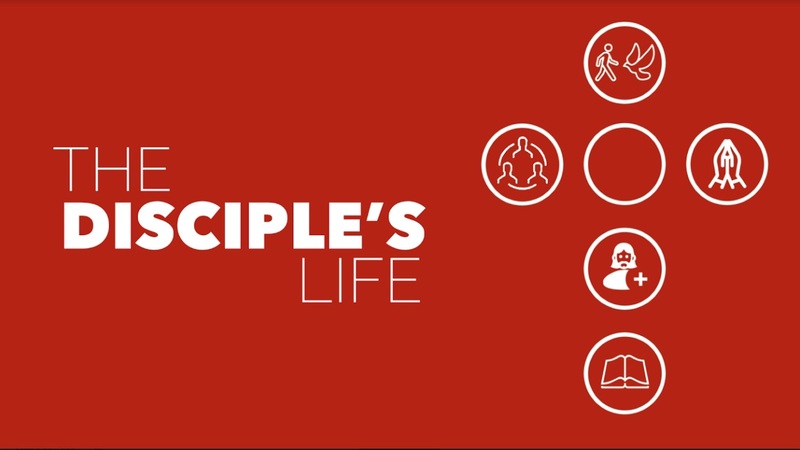 Tonight, as we complete our look at The Disciple’s Life, we come to an element of being a disciple that's probably discussed too little and misunderstood a lot, particularly in Lutheran circles. It’s walking in the fullness of the Holy Spirit. What on earth does that mean and what do we have to do to walk in the fullness of the Spirit? If we approach this subject with that question though, we’ll come out all wrong. As with everything else in the life of a Christian disciple, walking in the Spirit has to do with what God does for us and not what we do for ourselves. Yesterday, a man called me here at the church and asked for $22. He said that he needed that amount to complete what he needed for airfare to Florida, where his mother just died. I couldn’t verify that he was telling the truth, of course. But I looked in my wallet and saw that I only had $16. So, I called Ann; she swung by here with the other six bucks. When the man came here, he thanked me profusely and asked if I could take him to the bus hub in Miamisburg. I was leaving anyway, so I did. I am not telling this story to boast. I mean, it was only $22 and a ride that was on my way to where I was going anyway! What I’m saying is that I had prayed about how I should respond to this man and I just did what I thought God was telling me to do. If a stranger asks me for money, my first impulse is to say no. Sometimes I do say no. And sometimes after saying yes, I realize that I’ve been “had.” But that doesn't matter. Here’s the deal: I felt called and led by God to give away the money. With something as small as this, I feel no need or compulsion to use the pastor’s discretionary fund. God seemed to say to me that the money should come from my pocket. After all, if I'm going to ask others to give to God's work in the world, to respond to the needs of strangers, I need to be willing to do the same thing! Second, God was telling me, “This is one of those good works I prepared long ago for you to walk in. You don’t need to know whether the request is legit or not. I’m planting seeds here. Give the man $22!” Walking in the Spirit can be scary, but as Saint Paul shows in Galatians, walking in the Spirit is the way of life with Jesus. Take a look at what Paul says in Galatians 5:16: “So I say, walk by the Spirit, and you will not gratify the desires of the flesh.” Older translations have Paul saying “walk by the Spirit and do not gratify the desires of the flesh.” But that’s a bad translation of--you’re going to have to take my word for this--the aorist subjunctive active second person plural verb, will gratify. In other words, Paul is not laying down the law here. He’s not issuing an imperative. He’s not saying, “Do not gratify the desires of the flesh.” He’s saying that when we walk by the Holy Spirit, when we let God be our guide--not our consciences, not our instincts, not our hearts, not our guts, we will be walking in line with the Holy Spirit and not our own selfish desires. Paul is not barking orders; he’s making an observation about two different kinds of lives. One life is spent gratifying the desires of the flesh, flesh here meaning life spent pursuing those things that align with what I want to do. The other is life in the Spirit, in which our primary aim becomes walking in the direction in which the Holy Spirit, given to us at our Baptism, leads us. Life lived in response to the flesh is lived under the condemnation of God’s law, because it’s a life lived according to our own standards with no reference to God. The life of the Spirit is one set free of the law because, as Paul writes elsewhere, “...there is now no condemnation for those who are in Christ Jesus…” (Romans 8:1)! In the rest of the passage from Galatians, which we read earlier, Paul helps us to see the profound difference between a life in which we call the shots and a life in which we follow where Christ’s Spirit leads us. Let’s be clear: Any human life lived apart from the saving grace of God granted to all who repent and believe in Jesus will manifest one, some, or all of these characteristics. We who are born in sin are all inclined to live in these ways. But when, by water and the Word in Holy Baptism, we born from above (John 3:3), God gives us a share in the victory over sin and death Jesus earned for us through His death and resurrection and makes it possible for us as disciples of Jesus, to walk differently, to live differently, to live by faith in Him and in His way. Notice again what Paul doesn’t say here. He does not tell Christians: You'd better live in love, joy, peace, forbearance, kindness, faithfulness, gentleness, and self-control. He says that these behaviors are “fruit of the Spirit.” These wonderful attributes aren’t the cost of admission into the kingdom of God. These attributes aren’t the fruit of our work. They’re the fruit of the work of the Holy Spirit working in a life surrendered to Jesus Christ. They’re what happen, often without our even knowing it, when we daily yield our lives to Christ, examine our lives in the light of God’s Word, repent for sin, and receive the renewing Word of forgiveness that comes to all who humble themselves before the mighty grace of Jesus! By faith, we open ourselves to the work of God’s Spirit within us and the Holy Spirit goes to work, working intimacy between God and us, scrambling our priorities, using us to accomplish the good works God prepared for us before we were even born. All we must do is take a step in faith, a step toward Jesus. When we do this, we are walking in the fullness of the Spirit. How can we dare to do things that seem frightening or not in our best interest, but that respond to the will of God? When we are linked with Christ through Holy Baptism and the faith to which Jesus calls us, our old selves are crucified. And as we keep our eyes on Jesus, the old self with all its selfish, sinful desires is crucified. The new us rises every time we repent, every time we receive God's grace in Christ with faith, every time we respond in faith to God’s call in our lives. And our new selves, knowing that we belong to God forever, are set free to live the lives of love, joy, peace, and selfless that are the hallmarks of Christ’s presence in us. Only Jesus Himself has walked in the complete fullness of the Holy Spirit, of course. But the more we move toward Him, the more of Him will be evident in our lives, the more fruit of the Spirit will be apparent in us. 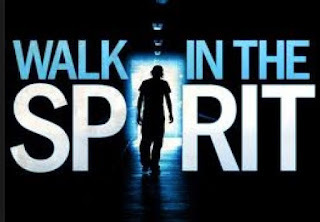 In so doing, God makes it possible for us to walk in step with the Spirit. You could say that Christ sets us free to walk the beat of God’s drum. If you want the simplest definition of the disciple’s life and of walking in the Spirit, it might be this: Disciples walk where Jesus leads them.